SAN FRANCISCO, Calif. /California Newswire/ — EPIC Insurance Brokers and Consultants, a retail property & casualty insurance brokerage and employee benefits consultant, today announced that Crawford McInnis, Brian Tanner and Wilson Long have joined the firm as principals in Birmingham, Ala.
"The addition of Crawford, Brian and Wilson is an exciting way to expand EPIC's presence in the southeast, as well as strengthening our service and support to a number of key industries we serve nationally," said EPIC co-founder and CEO John Hahn. McInnis, Tanner and Long all join EPIC from another Birmingham broker where they were risk management advisors, property & casualty insurance producers and principals. Each has specialized in serving large, complex construction, energy and distribution risks across the country over careers spanning from 10 to 20 years. Since The Carlyle Group became the firm's major investment partner in December 2013, EPIC has completed eight strategic acquisitions/purchases, adding more than 300 employees in 14 new locations across the United States. Said Derek Thomas, EPIC's Chief Strategy Officer, "The new EPIC Birmingham team strengthens EPIC's national platform serving contractors, energy companies and oil and gas distribution contractors. In turn, their clients will benefit significantly from the capabilities and resources of our Specialty Practice and Program Group and the entire EPIC organization." Added Crawford McInnis, "As part of EPIC, we now have access to experienced industry leaders and top professionals in multiple disciplines, along with broad resources, additional capital and extensive insurance company relationships – all to supplement our own ability, service and advocacy, for the benefit of our clients. We couldn't be more excited to be here." Experienced insurance professionals who are interested in exploring opportunities to join EPIC should contact Derek Thomas (derek.thomas@epicbrokers.com / 415-356-3959) or visit the careers page on the EPIC website: http://www.epicbrokers.com/careers#tabs . Headquartered in San Francisco, EPIC Insurance Brokers and Consultants has nationwide presence with a depth of industry expertise across key lines of insurance, including commercial property and casualty, employee benefits, unique specialty program insurance, and private client services. Since its founding in 2007, EPIC has grown revenue from $5 million to $160 million through both organic growth and strategic acquisitions, and remains a fixture on the insurance industry's "Best Places to Work" lists. Its strategic partners include private equity firms The Carlyle Group and Stone Point Capital. To learn more, visit http://www.epicbrokers.com/ . 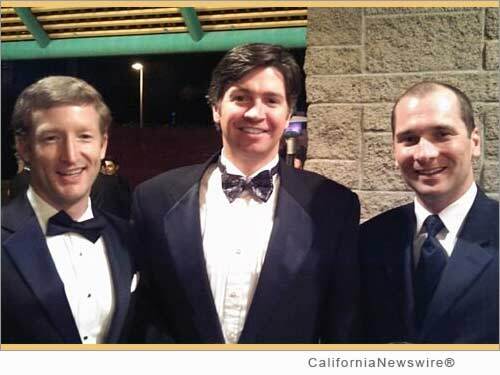 *Photo Caption: Wilson Long, Crawford McInnis and Brian Tanner of EPIC.